Coffee tables are, generally speaking, pretty boring pieces of furniture. 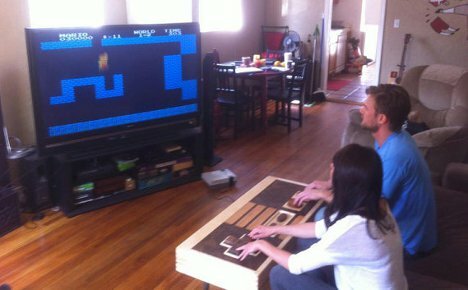 But not so with the NES Controller Table made by The Bohemian Workbench. 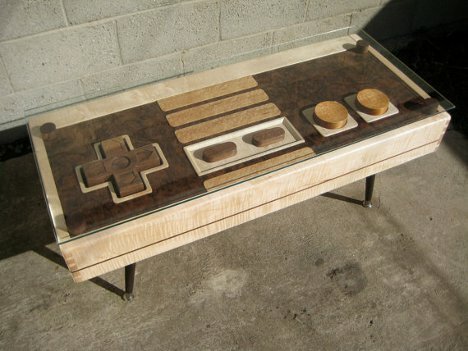 This baby is made to look like a classy wooden version of the classic Nintendo controller – but even cooler is the fact that it really works, too. When you aren’t engaged in epic marathon sessions of Chip ‘N Dale Rescue Rangers (we don’t care what anyone says; that game was awesome), a piece of glass sits on top of the table to protect it and turn it into a fully functional place to set your beer. The cool-beyond-words controller table is available in a variety of materials to accommodate all budgets, but the solid hardwood version here will run you $3,500. 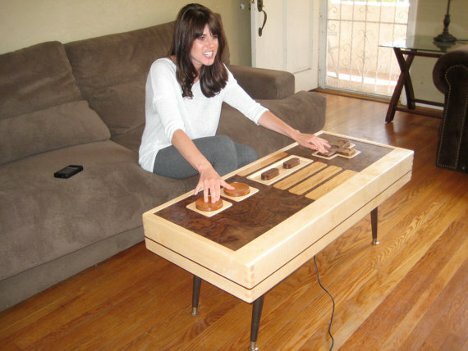 The lower-cost tables made of composite materials are painted to look like the original NES controllers, in case you’re into accuracy in your giant coffee table video game controllers. See more in Gaming & Geek or under Gadgets. April, 2012.